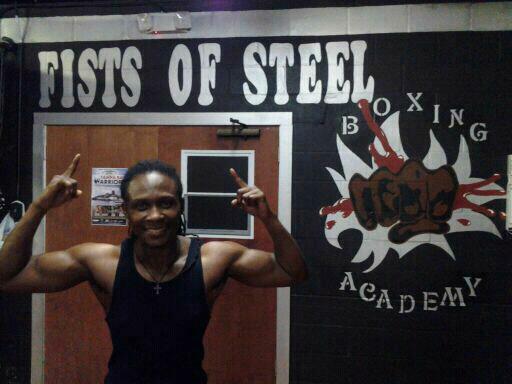 Chevelle Hallback: A boxer for all time, exclusive Q and A.
Chevelle “Fists of Steel” Hallback (29-8-2, 12-KOs) first stepped into the boxing ring in 1997 winning by TKO. In only her second fight she battled the great Lucia Rijker, and while she lost by TKO in the 5th round, Hallback has been taking on and winning fights against the best in the business ever since. Notable fights have included her bouts with female boxing greats Layla McCarter and Melissa Hernandez. After two disappointing and some would say controversial losses in fairly close succession in 2011 to Cecilia Braekhus and Myriam Lamare, Hallback took some time to regroup and now is back with a vengeance. This past June, Hallback came out swinging against Dominga Olivo (8-11-1), winning by TKO in the second round in front of her hometown crowd at the St. Pete Times Forum in Tampa, Florida. She’s now slated to take on Victoria “La Reina de Guerra” Cisneros (11-15-3, 4-KOs), a tough, hard-nosed fighter whose won-loss record belies her strength and savvy in the ring. It will also be a WBF Female Welterweight Championship fight for the vacant title, and in a nod to Hallback’s huge fan base in Tampa will be the main event, at the St. Pete Times Forum. The two met before in Cisneros’ back yard at the Route 66 Casino in Albuquerque, New Mexico. In that fight, an eight-rounder, Hallback won by split decision by the scores 78-74, 77-75, 75-77. Both fighters are thrilled with the prospect of fighting for a title in their rematch. Chevelle Hallback and “A History Of Women’s Boxing” author Malissa Smith at the International Women’s Boxing Hall of Fame, July 10, 2014, Fort Lauderdale, FL. 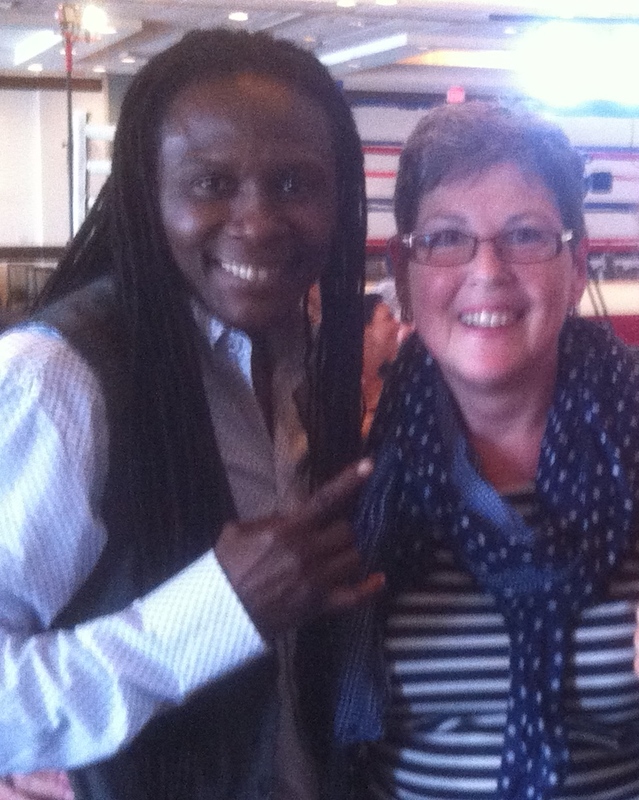 Having had the opportunity to finally meet up with Chevy at the recently held International Women’s Boxing Hall of Fame event in Fort Lauderdale, Florida, I was excited by the prospect of Chevy giving Girlboxing an exclusive interview about her upcoming fight. 1. Boxing fans are getting excited at the prospect of seeing you in the ring again after your fabulous win on June 13. Tell us about your upcoming WBF, female welterweight battle with boxer Victoria Cisneros. I am very excited about my upcoming fight with Victoria Cisneros. This is a rematch from when we fought about 3 years ago. I won that fight by split decision and she’s been asking for a rematch ever since so August the 22nd she gets her wish. 2. After your long lay-off and quick dispatch with a 2nd round TKO in your last bout, what is your game plan as you train for your title bout against Cisneros who brings a strong record (11-15-2) of achievement despite her won-loss record? My game plan for August 22 is very simple, to be in the best shape of my life and be prepared to do whatever I need to to win the fight and the title. 3. You are a three-time world champion, you are ranked in the top twelve pound-for-pound all-time female boxers in Ring magazine among other accolades, what more is there for you to achieve in the sport? I want to make my mark in history by being the first female to fight and be televised on HBO. 4. You must be anxious to be coming back into the ring in your hometown for the second time in a year. What has that been like for you? It is truly a blessing to be coming back home to fight for my family, my friends and my fans once again. It is truly a blessing from above and I’m going to take full advantage of it by winning the world title. 5. I’ve heard you say for years that you want to fight on HBO. What is it you have to do to get to that goal? I just have to keep doing my part and that’s winning each and every fight from here on out that I put in front of me. I have to keep preparing, keep praying, believing, and having faith that if I do my part, I know God will do his part. Faith without works is dead. That means if I believe that it’s going to happen then I have to work towards it. I have to believe it will happen even though I don’t see it. 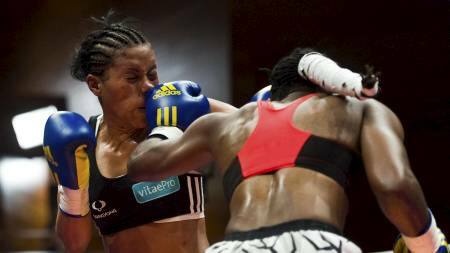 Chevelle Hallback delivering a left hook to Cecilia Braekhus during their welterweight title fight on May 7, 2011 in Copenhagen, Denmark. 6. You had two tough losses against Myriam Lamare and Cecilia Braekhus in 2011. Lamare herself fought Braekhus earlier this year and lost in a rout, whereas your fight was hard fought and has been viewed as a controversial loss. As you enter back into championship contention, do you have particular fights in mind — perhaps a rematch against Braekhus? Yes yes yes yes yes! I want a rematch with her so bad that it almost hurts. I’ve been asking and I’ve been pleading and I’ve been begging for a rematch against her. She has given other fighters second chances to fight her, why not me? I’ll wait as long as it takes, as long as she’s still fighting and as long as I’m still fighting. I got a very unfair shake and I just want the opportunity to erase that mistake. 7. Throughout your 10+ years career, you have fought tough, hard opponents — and the best of the best female fighters from around the world. What is it that is inspiring you to enter into contention again? To make history. To do something, that I was told a long time ago! I couldn’t do, accomplish, or it would never happen, and that is to fight on HBO. 8. Female boxing continues to ride a wave of boom and bust, and in many cases, the only option for some female boxers has been to jump over to MMA in order to keep in front of fans and have an opportunity fight at all. Having been a part of women’s boxing for a long time, what is your view of this and the kinds of options available to young women as they enter the sport? You have to do what’s best for you. But if you have a passion and a desire to do something then don’t give up on it and go to something different. Work hard and keep having faith that what you are trying to accomplish, you will succeed. Not only for yourself, but you will pave the way for the ones coming behind you or following in your footsteps. Be a trendsetter. 9. You’ve been an inspiration to female boxers– and I know you’re known as fists of steel, but at my gym we call you “abs of steel.” What inspires you and keeps you working so hard? And importantly, having done so much for the sport, where do you go from here? I AM a trendsetter. I want individuals to know, whether in boxing or whatever they’re setting out to do, that if you keep keeping on, keep the faith, work hard, believe in yourself, and don’t look back, you can accomplish anything, even when people say you can’t do it. If I can do it, hopefully it will give others inspiration to capture their goals and dreams as well. 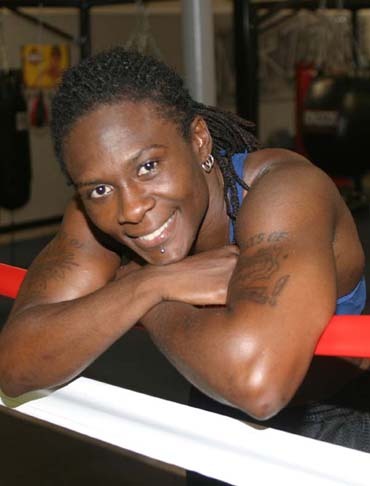 Chevelle Hallback’s interview with Billy C at the International Women’s Boxing Hall of Fame inaugural induction on July 10, 2014, in Fort Lauderdale, FL. Holly Holm v. Diana Prazak Fight 12/7/2012! Tonight’s Fire and Ice boxing card at the Route 66 Casino & Hotel in Albuquerque, New Mexico promises to be full of excitement if only to see the size of the ring where Holly Holm (31-2-3, 9 KOs) will fight for the IBA & WBF Women’s Light Welterweight titles against Diana Prazak (11-1, 7 KOs). In Holm’s last outing against Anne Sophie Mathis which she won by decision, the Holm team fought and won another decision as well, erecting a 24 foot ring. This led to considerable controversy as it favored Holm’s fighting style — and many believe tilted the “w” in her column. Holm was also originally scheduled to fight Myriam Lamare. Diana Prazak, an Australian boxer who is the WIBA Super Featherweight champion, took the call and canceled out of her 6-round scheduled bout against Victoria Cisneros who she was also set to fight at 140 lbs. At the official weigh-in yesterday, Holm came in at 138.8 and Prazak and even 138. Also fighting on the card in a six-rounder will be Victoria Cisneros (8-13-2, 3-KOs) versus Mary McGee (19-1, 10 KOs). Cisneros has fought some of the big names in boxing including two fights against Holly Holm (both at short notice) and rumbles with Chevelle Hallback, Melissa Hernandez and Cecilia Braekhus. She may have lost those fights, but she is none the less a very credible fighter with a record that belies her strengths in the ring. McGee a native of Gary, Indiana has fought and won almost exclusively in and around her home town. Fighting Cisneros, who is coming off a three-fight winning streak should prove to be interesting. Win lose or draw, the fights should be great tonight … just wish they were televised!!! 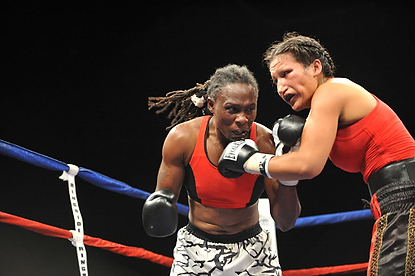 The great Chevelle Hallback (28-8-2, 11-KOs) was to have been the main event battling former foe Victoria Cisneros (6-13-2, 2-KOs), for the WIBA World Junior Welterweight Championship belt this coming Friday, August 24, 2012 at the Whitehall Armory in Whitehall, NY. The fight was canceled, no word yet on why. Hallback had a lot to prove to herself and her fans: that she could still bring it in the tough world of women’s boxing where the purses are lousy and the chances for promotion hard to come by at a time when the focus of the sport is trained on Claressa Shield‘s Olympic Gold medal and the future. Hallback was also coming into the fight with some tough losses behind her, notably against Cecilia Braekhus (17-0) who has been seemingly unstoppable and France’s widely popular Myriam Lamare (19-3). PLUS her last fight had been canceled at the last moment as well. 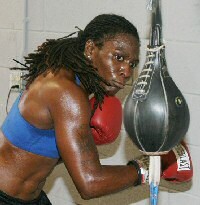 Having fought two of the toughest opponents in her division and lost–the forty-year-old Hallback needed the win, and a decisive one, if she was to remain one of the top ranked in her division (she is currently ranked #2 by WIBA and #1 by Ringside) with a chance to obtain her goal of being the first women to fight on HBO Boxing. More to the point, if she is to contend with Braekhus and Lamare again, Hallback needs to defeat Cisneros whom she fought two years ago in Albuquerque in an 8-rounder. Hallback took a split-decision in that fight, but for her to remain on top now she needed to defeat Cisneros decisively with a display of splendid skills and heart-in-your-mouth passion. Unfortunately, Hallback is not only fighting in the ring, but out of the ring, all symptomatic of how disgraceful professional women’s boxing is these days with promoters that don’t care and a fan base hot to watch with no outlets. This is a real blow to Hallback, but more to the point, it is a real blow to women’s boxing. Truly, these women deserve better. Here’s an interview with Chevelle from August 2nd. She sounds great! In a stunning evening of women’s boxing at its best at the Texas Station Casino in Las Vegas, Ada Velez (20-2-3, 6-KO’s) retained her IBF Female Super Bantamweight championship belt in a hard-fought contest against Melinda “La Maravilla” Cooper (21-2, 11-KOs). The judges scored the bout 98-92, 97-93 , 95-95 giving Velez a majority win. People on the scene found the third judges score surprising as they otherwise had Velez decisively dominating Cooper throughout the bout. In what was an upset win, Dominican fighter Dahiana Santana (28-6, 12-KOs) soundly defeated former champion Stacey Reile (10-4, 4 KOs) to become the new IBF Female Featherweight Champion. Both boxers fought a hard tough fight with the final decision scoring noted as 98-90, 97-90, 97-91. The undercard bout with Las Vegas’ own Tatina “Lil Tyson” Anderson (5-1-1, 4-KOs) was no less exciting with her third round stoppage of Victoria Cisneros (5-13-2, 1-KO). Sue Ti Fox of WBAN covered the fight along with photographer Mary Ann Lurie Owen. I highly recommend checking WBAN for some fabulous photos and cover on the bouts. The link for the quick results is here. I’d also recommend checking back later for her longer piece. Chris Cozzone also covered the fight for Fightnews.com. His piece is here. 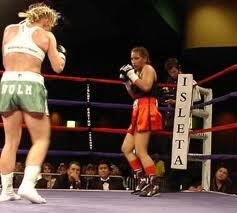 Awesome, stupendous women’s boxing 2morrow (11/20)! Talk about a great fight card! 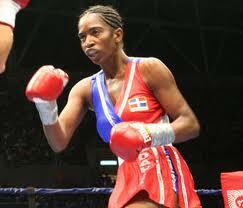 The main event features Melinda “La Maravilla” Cooper vs. Ada Velez II for the IBF Superbantamweight title. We’re talking a second IBF world title match! Stacy “Stay-Lo” Reile (10-4, 4-KOs) fighting out of Miami, Florida will be defending her IBF Featherweight belt against the Dominican Republic’s own Dahiana Santana (27-6, 12-KOs). 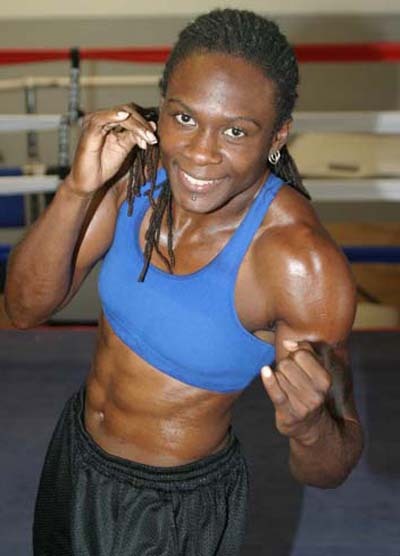 Two other women’s bouts will be on the card including a the popular Las Vegas area, fighter TaTina “Lil Tyson” Anderson (4-1-1, 3-KOs) will be fighting the very game Victoria Cisneros (5-12-2, 1-KO) who lost a ten round decision in her last outing against Holly Holm in June.. The other female bout on the undercard will be the winner of the WBC reality show “Reto de Campeones,” Irma Garcia Nunez against an opponent TBA. The card is being promoted by Sampson Boxing, LLC — and shows a huge commitment to female athletes at the top of their game. Pablo Betancourt’s Executive Entertainment, LLC has also worked alongside Sampson Boxing to make this dream card happen at the Texas Station Gambling Hall and Hotel. A portion of the proceeds will be donated to the Las Vegas Rescue Mission in support of battered women. For ticket and view information please note the following! Tickets will be available at www.texasstation.com, TEXAS Station Gambling Hall and Hotel: 2101 Texas Star Ln., North Las Vegas. Doors open at 2:30 pm and the fights will start at 3:00 pm. Ticket prices are: $25.00 for General Admission and $75.00 for Ringside. The event will be televised LIVE by: MAPI T.V., Supercanal, Dominican View, Tele-El Salvador, TDS, Comcast, Cable-vision, RCN, Time Warner, Verizon and Fios. Viewing countries: The United States (Dallas, Tampa, Baltimore, Washington, New York, New Jersey, Connecticut, New Hampshire, Maine, Pennsylvania, Philadelphia, Boston, Los Angeles, Ft. Wayne, Richmond, Norfolk, Pittsburgh, Providence, Buffalo, Harrisburg and Syracuse), Mexico, the Caribbean, Central, South America and Russia. Three great women’s boxing victories! There’s been some exciting women’s boxing going on lately. Saturday, June 11th, Amanda “The Real Deal” Serrano, grabbed the vacant NABF Superfeatherweight championship belt when she clocked Jennifer Scott at a 1:46 into the first round of her scheduled 8-round bout at Roseland Ballroom on the Boricua Boxing II Card. (Boxing News 24 has a nice piece here.) With the win, Serrano improves her record to 10-0-1 with 6 KO’s. The second big women’s professional bout over the weekend was South African women’s boxer Noni “She bee stinging” Tenge’s 4th round knockout victory over New Zealand’s own Daniella “The Diamond” Smith to capture the women’s IBF Welterweight Championship at the at the Carnival City inBrakpa, South Africa. 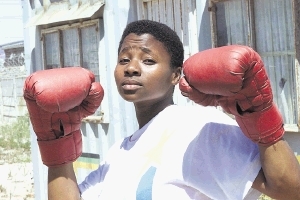 As the first South African woman to win a major boxing title,Tenge has entered the history books for South African sports. The victory, however has also caused a lot of controversy due to the South African Broadcasting Company’s decision *not* to broadcast the fight as a live event. Although SABC’s reaction was to say, “why is this SABC’s problem?” promoter Branco Milenkovic is quoted as saying, “If the SABC wants to call itself the national broadcaster, it should broadcast boxing.” For more on the story from inside South Africa click here and here. Not to be outdone, Holly “The Preacher’s Daughter” Holm defeated Victoria Cisneros on Friday night in her Main Event showing on Telefutura’s “Sólo Boxeo Tecate” series. A big Girlboxing shout out to both fighters for putting on a G-R-E-A-T show that we hope will inspire other sports channels to headline more women’s bouts! Now we’re talking, Main Event on Telefutura! Holly Holm v. Victoria Cisneros! After an exciting 10-round competitive bout Holly Holm improved her record to 30-1-3 with an impressive win over Victoria Cisneros. Holm won by unanimous decision with all three judges rightly scoring the bout 100-90. In the audience watching the fight was none other than French fighter Anne Sophie Mathis (23-1-0, 20 KOs). Promoter Lenny Fresquez, also announced a long anticipated Holm-Mathis battle scheduled for December 2, 2011! 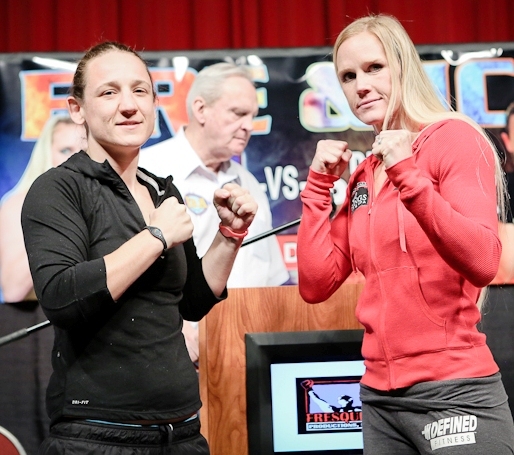 In an ask and you shall receive moment … the “Sólo Boxeo Tecate” card will be broadcast tonight, June 10th on Telefutura featuring the “Duke City” rematch of Holly Holm v. Victoria Cisneros. 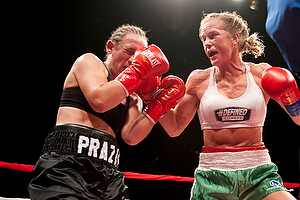 Holly “The Preacher’s Daughter” Holm (29-1-3, 9 KOs) will be fighting Victoria “La Reina” Cisneros (5-11-2, 1KO) in the 10-round main event rematch promoted by Fresquez Promotions at Legends Theater, Route 66 Casino, Albuquerque, New Mexico. Cisneros is a late replacement for the Holm’s original challenger, Cindy Serrano who suffered a fractured nose during training. 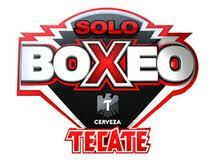 Other promoters for the Solo Boxeo fight card are Golden Boy Promotions and Don Chargin Promotions. Cisneros had been a very late stand-in in their first meeting, filling in for Melissa Hernandez who pulled out of the fight at the last minute due to a dispute with Holly Holm over Holly’s hand wraps — Hernandez’s camp had not observed Holm’s hands being wrapped and while Holm offered to have them rewrapped, Hernandez pulled out of the fight. As part of the promotion for the main event bout, if you’re local to New Mexico, you can vote for the fighter in the main event who displayed the most character in the ring by sending a text message to 55333. Voting will be open through the end of the weekend. The other woman’s bout on card Brandi Montaya (0-1) also saw her opponent bow out and is waiting to see if she will have a replacement.